If any of you knew me in my teenage years, I haven't always been into fashion. When I was in high school, my go-to included sweatshirts, jeans, and Converse shoes. Yes, I would dress up for special occasions, church, and small outings; but it wasn't until college that I really attempted to find my niche in the fashion world. I started drawing inspiration from Audrey Hepburn, Jackie-O, Lilly Pulitzer, and Grace Kelly. I wanted my style to be elegant, classy, and timeless, but I didn't want to feel luxurious 24/7. That's when I stumbled across the Kiel James Patrick brand - the perfect brand that exudes class and prep but also remains comfortable and cozy. 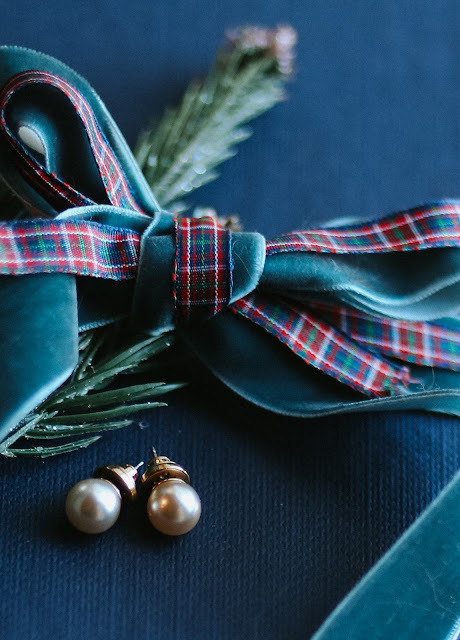 The Kiel James Patrick brand started out primarily creating jewelry, including their signature anchor bracelet and tons of pearls! My favorite pieces are the 12 mm pearl stud earrings and the gold pearl bracelet (shown below). Can this sweater get any cuter?! These sweaters are not only the definition of New England prep, they come in multiple adorable patterns. The Freshest Catch sweater features a bright red lobsters atop a navy background, and the Original Cotton Anchor sweater radiates nautical lifestyle with its charming boat anchors. My favorite sweater of all, however, has to be the Stripes Du Cap Ferrat Sweater. It is perfectly tailored in a women's cut, and is the ideal transition piece from fall to winter or even winter to spring. Okay, y'all. Check out this plaid flannel dress! When the Kiel James Patrick brand introduced these dresses this year, I was in heaven! Comfort and elegance, wrapped in one beautifully designed dress. It has it all - ruffled collar, buttons running down the entire front of the dress, and a bow sash! Last, but definitely not least...the Toasty Toe Sweaters! These delightful socks come in numerous patterns, but Matt's favorite pair comes the Griswold Vacation pattern - station wagon and all! The perfect stocking stuffer! For any of these products, you can either click on the image above or the actual products below to direct you to the Kiel James Patrick website. 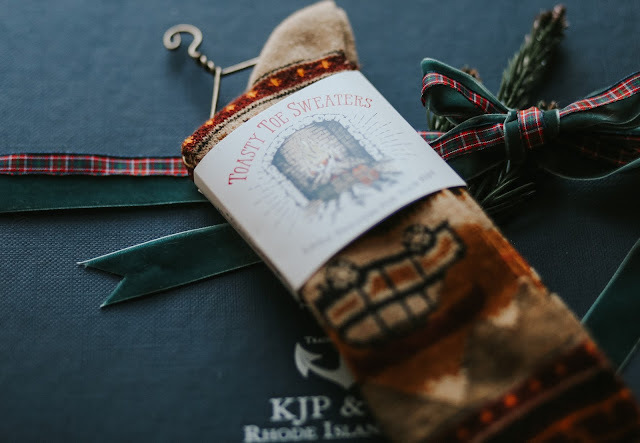 You still have time to add a little KJP prep to your Christmas!